"... because emotions play an important role." Thank you for taking the time for this interview and congratulations on being selected for this project. 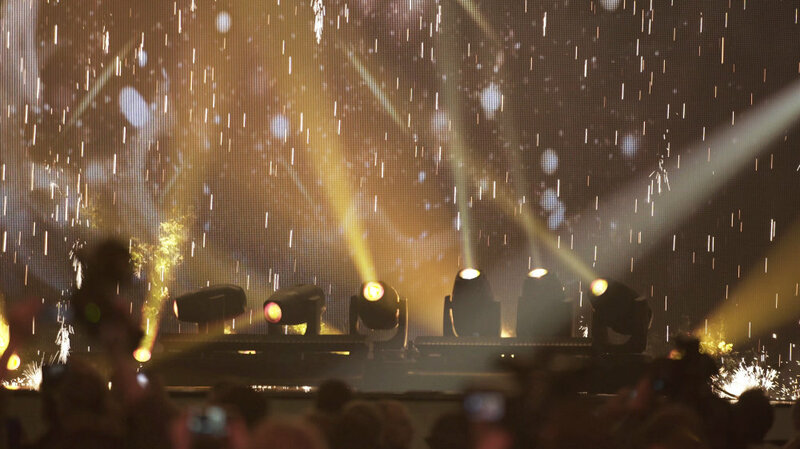 Last year’s lighting designer, Fredrik Jönsson, called the Eurovision Song Contest the Holy Grail of television. 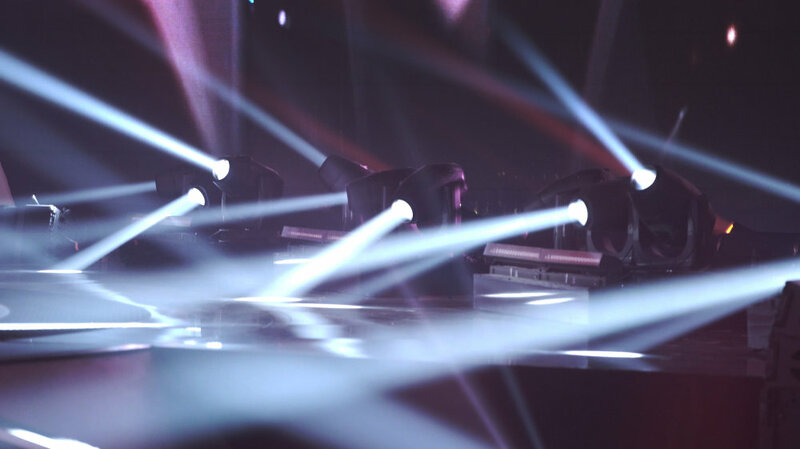 You have twice had the honor of designing the lighting for the Eurovision Song Contest. Is it still something special for you, and what does the project mean to you? Well obviously it’s a great honor for me. Especially because the Eurovision Song Contest is not the sort of event where you have tenancy. 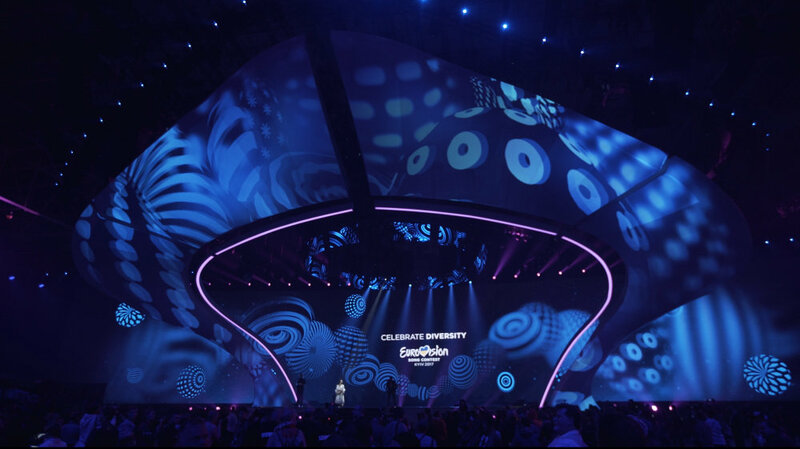 Unlike shows such as the Bambi Awards or the Echo Awards where you’re part of the production team and you do these regularly, the Eurovision Song Contest is completely new every year. 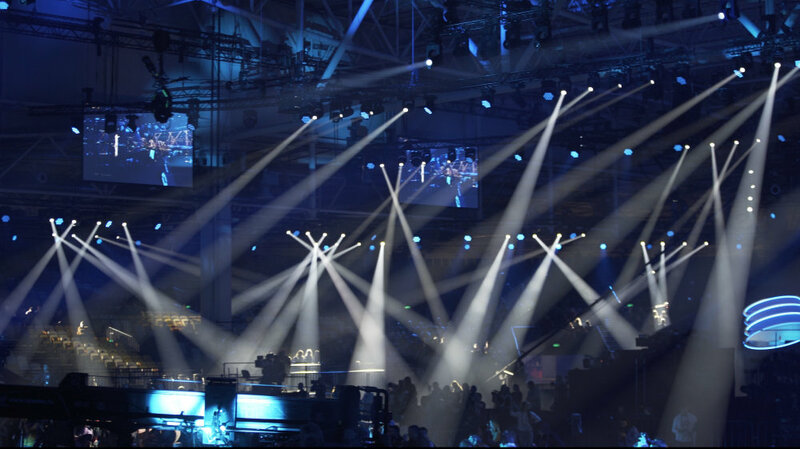 Depending on the local production capacity of the host nation and how the event is being organized, a new lighting designer is nominated each year. If you’re selected you’re naturally delighted and it’s a sign that the work you did the last time must have been pretty good. The 2017 Eurovision Song Contest is taking place in Kyiv in about three weeks’ time. At the moment you’re hard at work testing everything out. How excited are you right now? And what would be your greatest nightmare? I’m feeling really good right now because I’m lucky enough to be doing what I’ve always wanted to do. I like comparing what we do to playing with a box of Lego for adults. I get a real kick out of exploring all the different possibilities and being inventive. And the consequences would be different of course for an airline pilot or heart surgeon. We always have the time and the opportunity to improve things and fine-tune. Lots of rehearsals have been scheduled for the Eurovision Song Contest. In this phase I love seeing our ideas come to life on stage and seeing that a large proportion of the concepts we’ve devised actually work. I also like the wonderful family reunion at the Eurovision Song Contest and working with my core team, technicians, operators, spot callers and the traveling international team on creating something beautiful. Obviously there are always a few problems and certain expectations which are always different from country to country. This or that is wrong, or there’s something missing, or the catering portions are too small. But they’re just little things, and part of the gig. At this year’s Eurovision Song Contest we’re not anticipating any serious mishaps so I’d say joy was the overriding emotion. 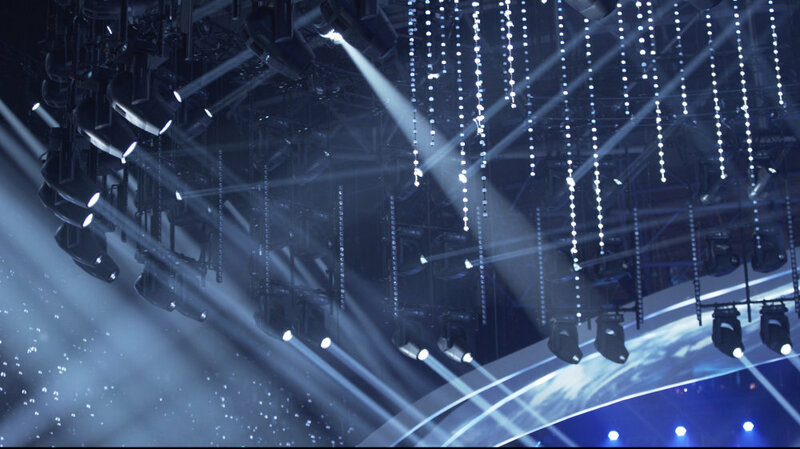 What are the preparations like for a TV event such as the European Song Contest? How long do they last, and what’s the size of your project team? 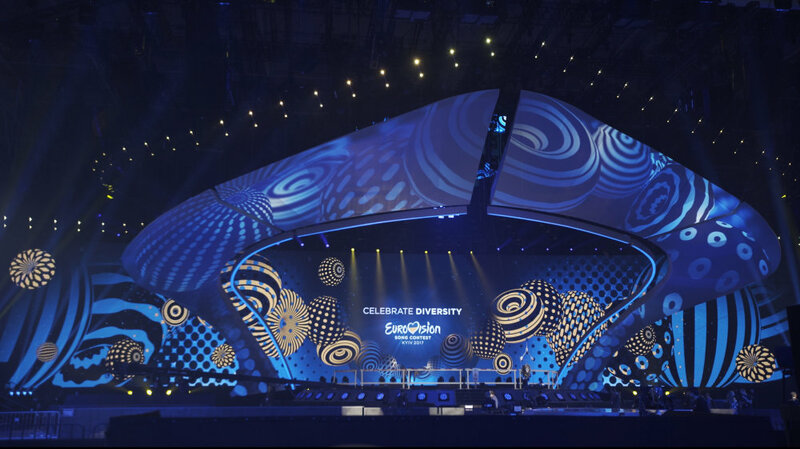 The Eurovision Song Contest is one of my largest projects and has kept me and my team busy for about half a year. The whole thing generally starts with meetings with other creatives from the production side where we develop a basic idea and a concept. We then go into detailed planning. This involves a large number of coordination sessions, and actual work begins about three months before the event. This is when we sit with the core team and go through the individual contributions from the various countries, preprogramming each one. With all this in the bag we traveled to Kyiv about one month before the start of the Eurovision Song Contest. We had about two weeks to set up and do our internal tests before launching into the tough rehearsals with the delegations. 42 light shows for one event – where do you get your inspiration? Where do your ideas come from? And how much input comes from the artists themselves? Working with the delegations is a crucial element. Each country has known its song for quite some time and often has a very clear idea of how it should be staged. This input is very welcome and provides us with a basis for what we can create visually, obviously well aware of what tools and toys are available to us, what is feasible and which ideas needing to be discarded because they are impossible to implement. A great deal of coordination and communication with the delegations is needed here and is also desirable. Are there any national preferences in terms of stage lighting or light colors? Have you come across any particularly unusual requests? Yes and no, I wouldn’t put it down to national preferences, more to general trends. In some years, for example, great emphasis is placed on interaction with the content. In other years – and this year’s Eurovision Song Contest is a good example – there is a high proportion of ballads. I think that’s a good thing because emotions play an important role and because it’s difficult to go through an entire show at a hundred miles an hour. I don’t then have a dramatic arc. I always like it when the mood changes and we have a nice curve. Some of the creatives in the delegations have their own style. Some of them have been involved with their countries for years so you have an idea of what they like and don’t like. "My main workhorse on the stage is your Scenius Unico." 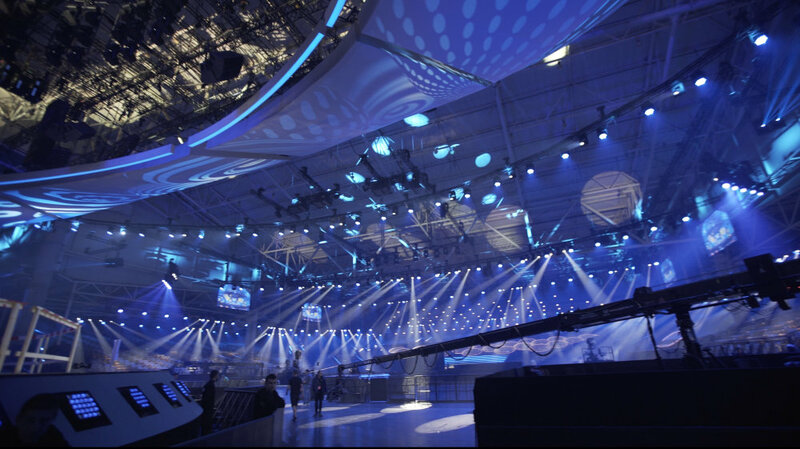 What’s the overall concept for the lighting design at this year’s Eurovision Song Contest? How many spotlights will you be using? The theme for this year’s lighting design is “lighting architecture”. For me, this means being able to create visual spaces with light. Specifically we are aligning the lighting around an imaginary central energy point above the stage. We have called this stylistic device the “beehive”. Lighting gantries, trusses and media support structures are positioned in a circle around it. They’re really versatile, so we’ve called then the “Swiss knife”. Just as a Swiss knife has a tool for every job, we can use this equipment to do lots of different things and create three-dimensional spaces. We are using about 1,870 spotlights, plus a few special ones for certain delegations. Which light show should viewers particularly look out for? Do you have a favorite among all the countries? What I especially like is the enormous bandwidth at this year’s Eurovision Song Contest. Personally, I think “1944” which Jamala will perform again in the first semi-final is fascinating. We worked on that country’s project only yesterday and we’re very pleased with the results. And off the top of my head I’d say Australia is my other favorite. The light show for that one is really beautiful, and the song is great too. Over the past few years I have worked closely with the Australian delegation and have been impressed by their sincerity, professionalism and dedication and also surprised how popular the Eurovision Song Contest is with them. Viewers can also look forward to a surprise or two with the opening and interval acts. 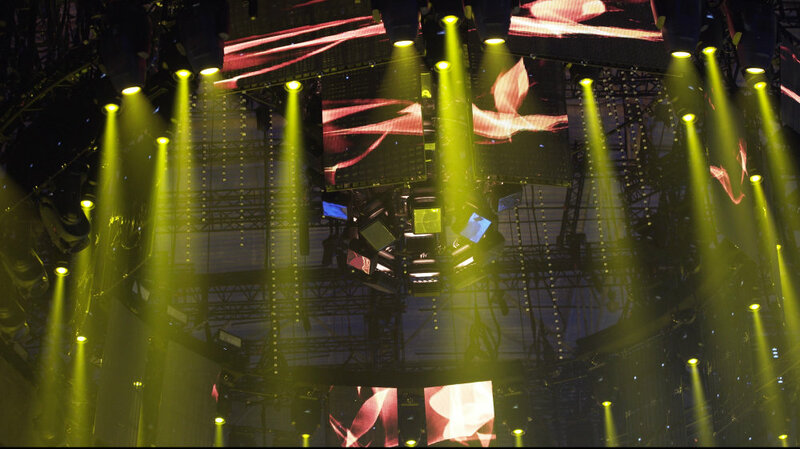 Is it a major challenge for you as a lighting designer to come up with something new for the Eurovision Song Contest? What role do new products play in all this? I’m basically not a product person. I’m interested not so much in the various lamp types and technical details but more in the effects the products create and what the products can be used for. Obviously I keep an eye on the market and I’m always on the lookout for new functions and features. When the new Sharpys were launched, for example, I had to have them of course. But basically I’m now trying to get away from pure show effects and explore three-dimensional possibilities. And naturally I’m interested in taking advantage of state-of-the-art equipment. 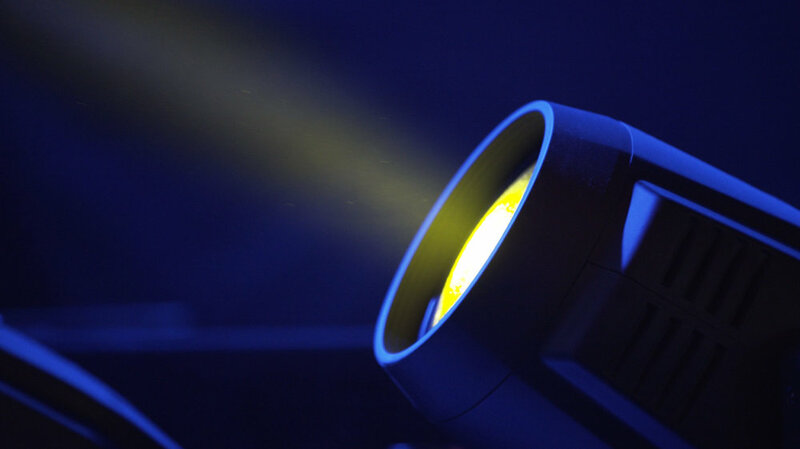 For example here in Kyiv we are using only LED spotlights for the audience lighting, which of course has a beneficial effect on power consumption. It would no doubt have been very different five years ago. You mentioned Clay Paky Sharpys just now. 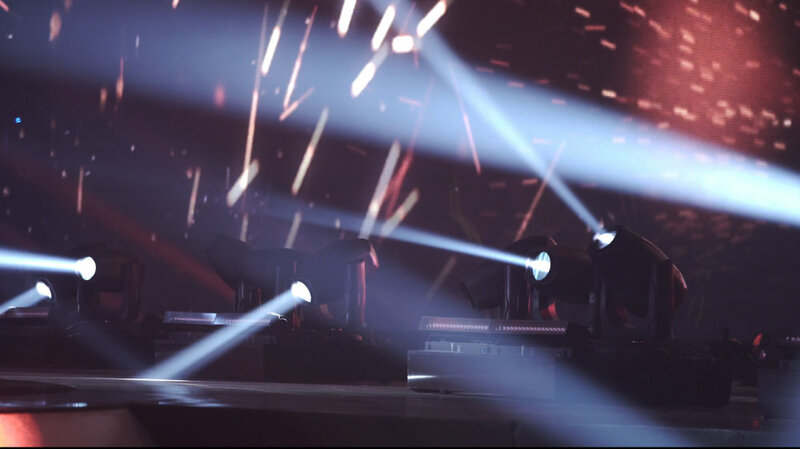 In an earlier interview you said you particularly liked working with Clay Paky products. Why is that, and what do you appreciate about these spotlights? That’s right. I like working with Clay Paky because I appreciate their powers of innovation. My main workhorse on the stage is your Scenius Unico. It is reliable and represents the latest incarnation of a powerful lamp which offers a broad spectrum of applications. It can wash, it can spot and it can create a beam. What’s more, I can work with this product whatever the size of the budget, bearing in mind that here in Ukraine pockets are not as deep as in some other countries in Europe. But I’m very reluctant to go without my workhorses and backbones because I appreciate their added value, so I always try to get them on the equipment list. If I have to make compromises I much prefer to target the peripherals and the trusses. This is your third decade in the lighting business. What have been the greatest changes in this time and where do you think the journey will take us in the coming years? There have been several major changes. In my early years it was the development of moving lights which could be assigned more than just one task. The second great revolution was the introduction of LED technology. If we look at the setup here in Kyiv we have a large number of lighting units equipped with 20 x 65 W chips from Osram located above the audience. That’s a lot of light. If anyone had told me that ten years ago I’d have laughed in their face. Prices have changed over the years too, so there are now LED lamps that many organizers can afford. When I was starting out that was completely unimaginable. Technology never stands still. Right now, integration is the big thing – how do I integrate lighting design in the actions of people and how do I interweave individual stories. It’s an enthralling subject, and one in which I’ve been heavily involved in recent times. I believe there is still enormous potential here in terms of event staging.